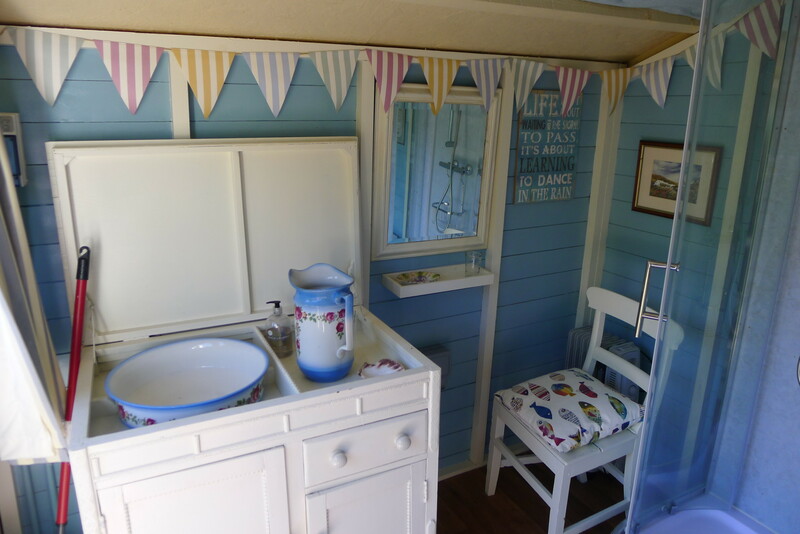 The bathroom is housed in a separate hut between the Shepherd’s Hut, the Bell Tent and Pod. 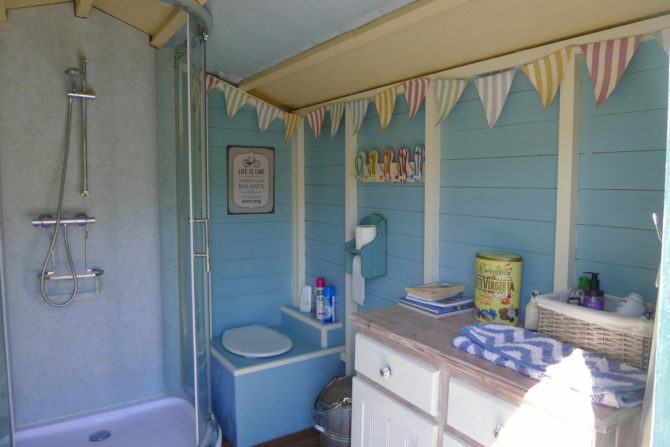 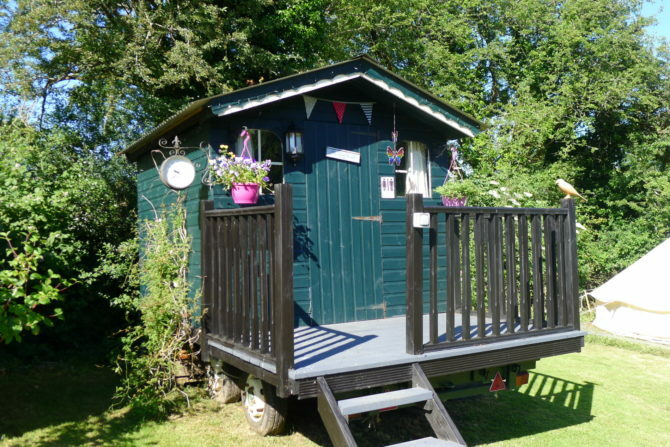 Facilities include a hot shower, compost toilet and a jug and bowl which stands on a vintage wash stand. 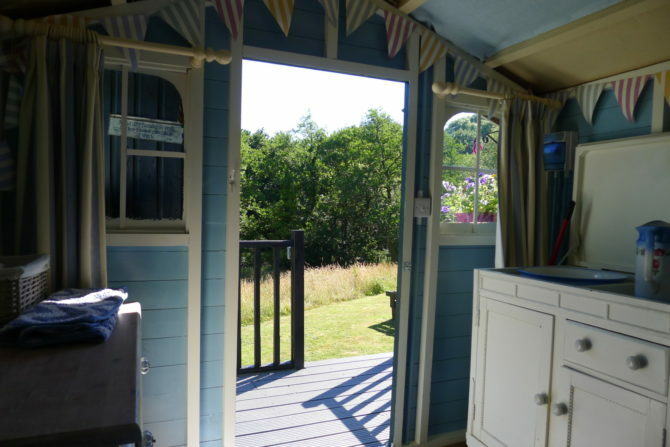 In the storage cupboard there are charcoal firelighters and kindling, also cooking tins and pans that can be used on the outside fire pit.